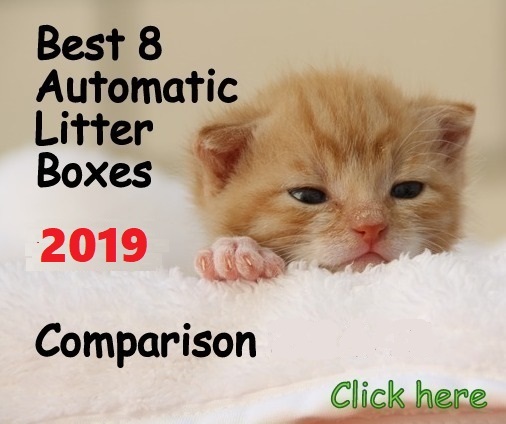 (3.5/5) The QPets automatic pet dish 6 meal is a good choice in dish auto feeders because it has a locked lid protection system with dual snapping locks to protect the trays from those smart cats. With this locking system, your cat won’t be able to open the lid. This automatic pet dish has a microphone, speaker and a 6-seconds-recording personal message calling your cat to eat. This dish feeder comes with a low battery indicator to make sure your feeder won’t stop working. 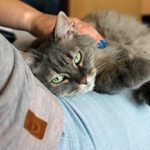 You can program it to dispense a feeding schedule for your cat up to 6 meals per day (one meal to be served at present time). Meals programmable within 24 hour period. 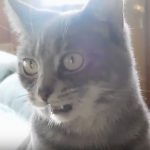 You can record a 6-sec voice message calling your cat to eat. Built-in clock with easy-to-read LCD panel to program the feeder. 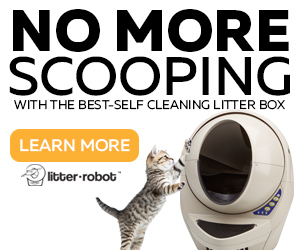 Lid features a lock-in system that keeps those paws away from the food so your cat will eat only until mealtime. Power: It requires 4 C batteries. 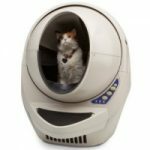 HOW THE QPETS 6-MEAL WORKS? QPets has 6 feeding times, labeled 1 thru 6. To program the meals you need to put the feeding times in chronological order, for example, if you are programming the feeder at 10 pm and you want the following feeding schedule for your cat: 7 am, 3 pm, 11 pm; then you must program the 11 pm meal as the meal #1 because you are programming the feeder at 10 pm and the first meal will be the one at 11 pm. If you want to program the breakfast as the meal #1 then you must set up the feeder before breakfast time. According to the example you should program the feeder before 7 am. Once you have the meals programmed it’s very important to press “Start Now”. DON’T PRESS “Star tomorrow” if you do so, it will cause the feeder to skip the meals until next day. Also remember always push “start now” after every refilling (and before the time of meal #1). This chronological order is because the timer is not digital; it only counts the hours from the time the unit is being programmed. 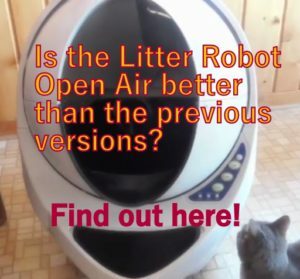 WHAT ARE THE PROS AND CONS OF QPETS 6-MEAL AUTO PET FEEDER? It has locks for the food tray cover (dual snapping locks), so cats can’t pull the lid off easily. A good system as trays rotate revealing slots with food, so you don’t have to rotate the entire unit or have room around for your cat to access the food tray. 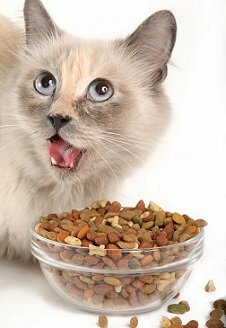 Good feeder if you need to feed your cat small amounts of food at a time (less than ¼ cup of food at a time) and several times a day, up to 6. Not as loud as other dish devices. Food slot dish comes out for easy cleaning. Tricky to program in the beginning. The first slot cover could be opened by a smart cat. Not high standard materials (according to customer reviews). It has to be reset every time the cycle ends. It does not retain programmed meals when turned off. It does not have ice packs for moist food (If you want a feeder with this feature, check the Cat Mate C50 review). The device just works with alkaline batteries. If you use rechargeable batteries the unit may not operate properly. Never put water in the slots. If you want to use it for moist food, fill the removable tray and put it in the freezer the night before. You can feed 2 meals at the most with this system. 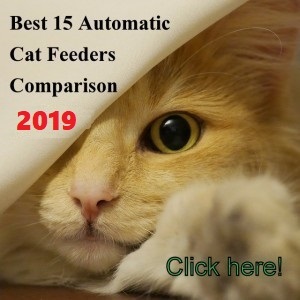 I recommend the Automatic Pet Dish 6 Meal LCD as a good option in dish feeders for the money. 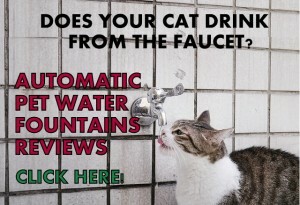 Feeding your cat at regular intervals throughout the day. Feeding a cat with diabetes. Feeding a cat on a diet. You fill the removable tray with canned food (maximum 2 meals) and put it in the freezer the night before. You can use this dish feeder within 8 hours with this system. If your cat is too obsessed with food or too determined to break into this feeder. 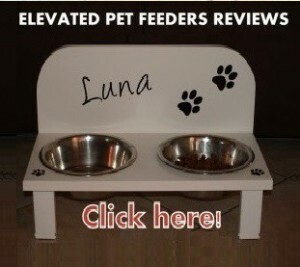 If you are looking for a feeder that lasts for several years. 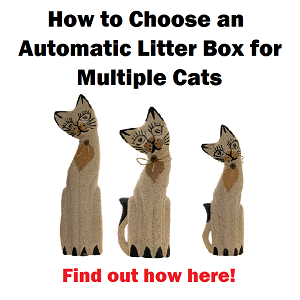 If your cat is allergic to plastic.